Suitable for moisture rich environments. be painted. Mounts flush into walls and ceilings. Foam gaskets minimize vibration and provides air-tight seal. tailors the sound to any taste. 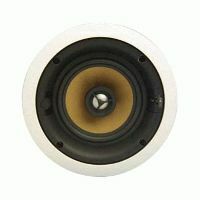 compatibility with On-Q Preconstruction Speaker Brackets.